This page is for old questions related to the information posted by the Bigelow Society in 1999. Any connections to my GGGrandfather, Granville H. Reynolds (b1825 in Westernport, MD), married Melvina Carroll of Uniontown, PA? Shortly thereafter they moved to IL, he fought in the Civil War w/ Illinois Volunteer army, and died in Industry, (Knox Co) ca1874. My Grandfather, Frank Andrews was raised in Abingdon, Galesburg area of Illinois. Would appreciate ANY clues as to this person's family and/or lineage! were about 55 years old. I notice you had Julia married to her step son which was probably the result of sloppy writing on my part. Sorry. our family plot Lot 78 - Grace Church Cemetery, Providence, RI. Julia Newbury __ ___ 1806 - __ ___ ____ m. ?? The family lived in Dorchester, that changed to Stoughton that changed to Dedham, MA. Ebenezer is my husbands ancestor and he moved to Richmond, NH where he was a Doctor. Ebenezer's son Robert who married Elizabeth Saben is our family branch. New Hampshire is where everyone stayed. rice family that migrated to southeastern,ky. thank you , ewing rice jr.
Are you from "Brown & Bigelow?" The owner of the rights to Cassius Marcellus Coolidge's "A Friend in Need"? Thanks for the info on Betsey and the link to your page. Do you have any more info on her? I am trying to prove that Edwin Phelps b- 30 Dec 1815 is her son. I have some BIGELOWs & HOCKEYs in my tree, both who are from the upstate area like Gouverneur, NY. Are you related and if so I would be interested in getting that info. My wife, LindaM216@AOL.COM, recently found a connection to you through the BENDERMAN family. Small world. settled at a place called Dickinson City (later named Cannonsville) in 1787. It's near the town of Colchester NY. ??? Any idea's? If the families can be connected it would bring your DAY lineage up to date and take mine back to1604. Your page is looking great. I like the bulletin board but I don't understand your note that say's that you don't believe that Grace Spencer (wife of John Day II) was Editha's mother. Was there somehting you discovered while at Salt Lake that led you to believe there was a mistake. I know I've come across John Day II who had a son John Day III. John Day III was married to a Sarah Welles. They had a son, John Day IV who had married Sarah Loomis. Sr. is the same as his John Day IV whereas it should be John Day V.
to my Asaph Griffin. Do you have any information on his descendants? daugher Emma was my Great Gram, I do not have anything else on this Bigelow, is he in your line. I'm seeking info on PHILANDA BIGELOW b. 1828. She married OSCAR F. HULSER from Pulaski, Oswego co, NY. That is all the info I have. Hoping you can shed some light on this for me. the Ann Jenette Fitch information. The Helen or Almira information may have a problem, although Helen might have been a middle name. I will be able to locate one by inter-loan library. If I can be of any assistance please e-mail. Look forward to your reply. nothing else to do at the moment, I thought I'd drop you a line. suburb called Wythenshawe (pron. Withinshaw - Baguley is pronounced Baggly, locally). think it has actually been opened to the public as yet (I've never seen it open, anyway). enjoy the best of reputations. Dress down is the best advice I could offer. something to do with the fact that it was a bequest to the people of Manchester from the last Lord Simon. local government cutbacks of the last twenty years has meant that less money could be directed there, even. And, once again, well done with the website - v. impressive. I have the Howe & Eager surnames. Will you contact me at: KTNV11C@PRODIGY.COM. I also have an Eager mailing list. I have cemetery record from Honesdale, also went to cemetery. Tiffany, Sally - wife of John Tiffany, d. Sept. 2, 1848 ae 63 yrs & 5 mos. this letter. Thomas had daughter Alzada Mae. (wife was Alzada Emeline Harding), son Winfield (2nd wife ran off), Jennie, Charles and Raymond (wife Ellen Webb). I do not have a lot of primary evidence as of yet. Have photos of Alzada after she married. Pictures of house and family in Burnwood taken when Alzada was grown. Letters that I mentioned. Went to cemetery. Lots of census information. 1850 census shows Thomas living with John and Minerva Tiffany. Sally was living with Nathan and Damelia Kennedy. So was infant Alice E. Wright. (Kennedy name was same as Addison Harding's second wife[father of Alzada] ) I have no idea who A.
I am searching for information on Catherine Bigelow Davis born about 1796 in Western Pennsylvania, death cert of her daughter says she was born inWestmoreland County Pa.. Catherine married Levi Davis Abt. 1812 and by 1830. This couple was living in Mercer (now Lawrence) County Pennsylvania. The cabin Catherine was living in in 1860 still stands near New Castle Pa. Between 1790 and 1830. There were a very small number of Bigelows living in Pennsylvania. . I suspect this couple were in Greene County Pa. in 1820 which was formed from the original Washington/Westmoreland Counties. Any help appreciated. Winslow Family Bible records, located NSDAR Library, Washington, D.C.
15597.4. Lucy b. 21 Dec 1794; m. 20 July 1824 in Eaton, NY, Rev. Horace Griswold (Baptist Minister) she d. 4 Jun 1884 in Fremont, NE. She was the second wife of Rev. Griswold by whom she had 6 children. Subject: RESEARCHING THE O'BRIEN TREE! Below are the Bigelows I have in my O'Brien Family Tree. I actually came across your Bigelow name in searching the Day Family. Small World. Does any of this seem familiar to you? Hope to hear from you soon. I am seeking information on Jacob Pitcher who married Emma Bigelow daughter of Henry Bigelow of Illoinis. in about 1845 in Limestone county or township. This Henry Bigelow was a civil war veteran. Emma died in 1924 in Illoinis , in Cook County I think. I was searching the web and notes a reference to the "Elisha Niles Diary" under Jonathan Bigelow. Doesnt look at all like there is a connection???? Your web page is amazing and I can apreciate all the work that went into it. What we are looking for is if any of Lawrence (1692A.4) children's were buried in the cementary in St Andrew's cemetery Buckingham . My Dad would like to know, as he is doing a history of the cemetery. (I think we also related somehow) Anything would be of help. 3. 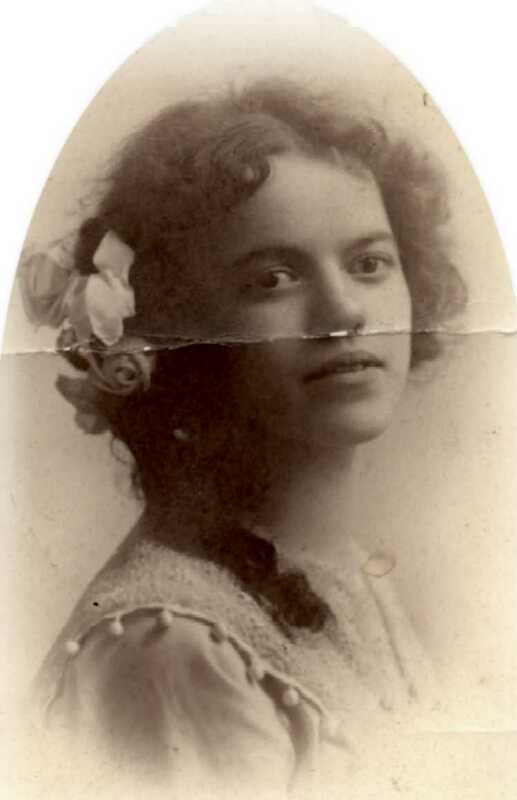 Lula Grace Bigelow (my great-grandmother) b. 12 May 1880 in Camanche, Iowa; d. 6 June 1958 in Astoria, OR; m. 12 May 1897 to David Thomas Bolinger. 6. Nelson Glenn Bigelow b. 7 Dec. 1887 in Ayr, Adams Co., Nebraska; d. 17 Sept 1977 (in a nursing home in Florence, CO which is the last place I saw him in 1970); m. 16 Sept 1914 to Eva Aurelia Harrison (we always called her Aunt Aurelia). 7. Herbert Holmes Bigelow b. 26 Jul 1890 in Beulah, Pueblo Co., CO; d. 4 Aug 1963; m. 24 Dec. 1911 to Julia Jones. I will be calling my parents later tonight to fill in the following generation if I can. I know my great-grandmother had at least 3 children. Thomas? I would like to know who their parents were. into this often. In our Weekes bible it shows John Weekes married Mary Bigelow 5/19/1762 Mary was the daughter of Gershom Bigelow and Mary Howe. Any ideas??? I'm at a loss do I record both sets of information? (You show Mary Bigelow married Artemas Howe). I came across your 9 page account of Warrens last night. I wonder whether you have thought about the origins of the name ? The contribution which follows may be of interest. It is highly dubious that any of my relationships link to your origins in Nayland: general patterns of transport and migration in 1585 militate against such a presumption across a distance of some 400 miles. However,I am only just starting on this venture and I may well be proved wrong. The name "Warren" as an English language surname seems to have originated following the Norman conquest in 1066. Baron Guy de Varrenes (or de Warena) was part of the conquering force and was married to Gudrun, sister of Guillaume, Duke of Normandy (aka William the Conqueror). Anglicisation both of Varrennes and de Warena lead to Warren. So, too, does the method of raising rabbits for food as introduced by the Normans, in stone enclosures which became known as "warrens". Thus, warrens as historical structures and place names are common in SW England, notably on Dartmoor. The trade or profession of managing warrens became a distinct surname by the addition of "er" ( as in Fowler, Carpenter etc.) in the form of Warrener or Warrender. Surnames did not become common for several hundreds of years after the Norman Conquest, broadly between 1370 and 1450. Passage of time and the general levels of illiteracy led to variations of spelling - even within a single document, the same name might be spelled in three different ways. Possession of the surname Warren does not, of course, provide evidence of some direct link back to ancestry in Normandy. Serfs and villeins might well have adopted the surname of their master. Others, as later immigrants to Britain, adopted such Anglicised identities as suited their purpose and integration into the community. The surname Warren seems particularly common in the West of England. As an aside, the writer spent many years working in France or with French employees. To this day, they remain convinced that my surname was Varrene - a fine example of how sounds are twisted to meet the linguistic expectations of the people concerned ! I do not pretend that this brief note is fully researched and I am entirely happy for other Warrens to challenge and improve a note which is intended to promote dialogue. I'm so sorry it took me so long to get back to you regarding your search for my Bigelow clan! !...I am totally amazed!! !...I can't thank you enough for finally giving me a sense of closure on who made up my roots! !...I had only bits and pieces of names to go by and you have solved the puzzle!...It was Henry Clifton that I had been missing!...Margaret Bigelow (his wife) was my greatgrand mother, but there was never any documents showing who her husband was??...strange? but that's how the information was kept by the family! My grandmother Lucielle McLaughlin (Bigelow)...was married to Lloyd McLaughlin and bore my father Darrell Fulton, who passed away in 1983 from a short illness, and is buried here in Sarnia, Ontario. the help if it's possible. Hello, allow me to introduce myself. My name is Lisa Beth Christiansen. It is with great sadness that I announce the passing on of my Grandmother, Elizabeth Jane Von Suskil (10), at age 81. She passed on suddenly, on October 5th 1998, while residing with me, in Montague, NJ. She is survived by her daughter, June A Smiraldi of Vernon, NJ, Howard Von Suskil, five Grandchildren, Lisa Beth Christiansen of Montague, NJ, Richard Smiraldi of New York City, NY, Marc Smiraldi of Vernon, NJ, Jennifer Von Suskil, and Drew Von Suskil of Butler, NJ, and Great- Grandchildren, David and Andrew Christiansen of Montague, NJ. "Betty" was born in Superior, Wisconsin, on December 2, 1916. After the death of her mother, Dee Anne Beglinger, she left her home, at the age of sixteen, to graduate high school, and continue on in nursing school, to become a nurse. Please feel free to quote anything in my websites for inclusion :-) in the Forge. Also, a photo of Dee Anne Bigelow is attached (my Grandmother's mother) http://members.aol.com/GramsDoll1/page/index.htm (Elizabeth Jane VonSuskil) http://members.aol.com/Dansndoll/dea.html (Dee Anne Bigelow, and our family history concerning Bigelows from our branch). Ezekiel Gates married 1793 Beula Bigalow, had son Luke Gates, born 1794, etc.